Secapp (Secure Communication App) is a secure communication and management platform for smart messaging, alerting and paging. 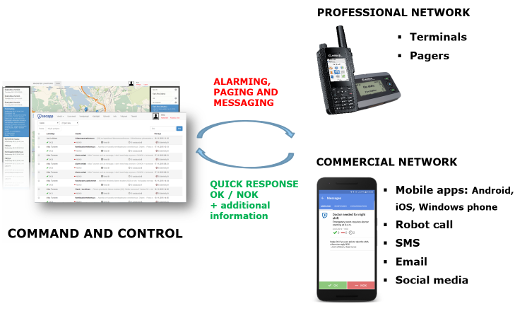 Additional options for location tracking and geofencing enable more in-depth operational management. For maximal reach and robustness Secapp combines commercial and TETRA communication channels (including SMS, app, voice, email, SDS) under one easy-to-use tool.